Vincent Bugliosi coming soon to a theatre near you? 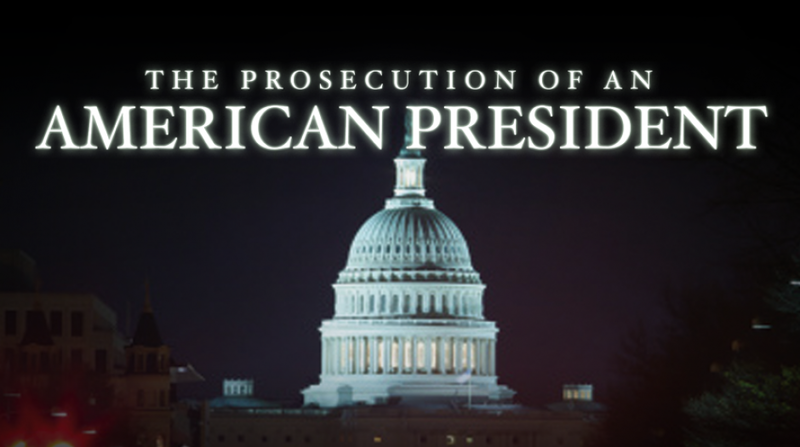 In “The Prosecution of an American President,” the former Los Angeles deputy district attorney Vincent T. Bugliosi (famous for prosecuting Charles Manson) presents his case for trying George W. Bush for murder, given his pursuit of war against Iraq. He contends that the Bush White House sold a lie to the American public: that Saddam Hussein posed an imminent fatal threat. Killing is justified only when mortal peril to a person (or citizenry) looms, and in the matter of Iraq, Mr. Bugliosi argues, it didn’t. 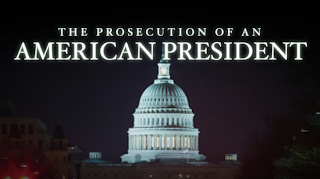 On camera, the Harvard legal scholar Alan M. Dershowitz disputes the viability of the case, and the film’s principal sequence — a Bugliosi address to the University of California, Los Angeles, law school — has a formal rigor that proves repetitious. But there is no mistaking Mr. Bugliosi’s conviction, nor the thoroughness of his research, which largely concerns the Bush administration’s claims of Iraqi weapons of mass destruction. Theories about Mr. Bush’s motives are presented, but, Mr. Bugliosi says, prosecutors are not burdened with proving a motive. Emotional support comes in grisly news footage: civilians being shot; gravely wounded troops; a father’s self-immolation after learning his son, a Marine, is dead. These images remind us of how American lives are used as political chess pieces, and how agonizing it is when the game’s larger objective remains unclear. Bugliosi now sounds like Manson ranting about Nixon. If this really makes it to the theater, I'll definitely be going to see it. No weapons of mass destruction were used on 9-11-01. Just 19 Muslims is all it took to destroy the world trade centers. How come Bug can figure out Charlie's Helter Skelter but not figure out what Islam's Jihad is? I know I told ya, that I'd rotate the Manson thread back to the top... but I've got so much upcoming material, it's difficult to backtrack. Feel free to discuss Manson, on any thread. So long as Arabs continue to fight tribe against tribe they will be known as a little peope; a silly people: greedy, barberous and cruel. Has anyone heard anything about Bugliosi's health? About 3 months ago I read he was pretty ill, maybe in intensive care. I haven't heard anything since. It's all good Lynyrd!!! I was just pushin when it felt like I could :) Bugliosi is a nut. There are other world leaders that have mentioned bringing Bush to the Hague. It's odd how power shifts perspective and makes certain acts ok.
As for Charlie......the TRUTH shall set you free!!!! Anyone heard anything else on the supposedly impartial Manson biopic? Susan Atkins wrote a book entitled "The Myth of Helter Skelter", it can be read online for free HERE. A: That's when he would say it, when he was talking about how it was coming down in the cities; he would say, "Helter-skelter is coming down fast." Q: So the context in which he said it is, "Helter-skelter is coming down fast"? Q: Now, prior to New Year's he used to say the s-h-i-t was coming down fast? Q: But this particular occasion he came back to Barker and said, "Helter-skelter is coming down fast"? Q: So he substituted the word "helter-skelter" for "s-h-i-t"; is that correct? Q: Thereafter it was always "helter-skelter is coming down"? Q: Did Manson and the family frequently play this double-white album? A: Yeah, it was played constantly. Q: Did the family play that song frequently, "Revolution 1"? A: Yeah, it was played quite a bit; people would sit in front of the speaker with their ear up to the speaker trying to catch all the phrases in the background, because the Beatles were supposed to be talking under the awareness of most people. Q: Did Manson ever say that he heard a particular word in the background of "Revolution 1"? That portion of testimony, plus more can be found on the Cielo Drive website HERE. the problem with posten's testimony is he had a big motivation to go along with bugliosi---his mandatory service in vietnam was cancelled. same with paul watkins. Bug had no say in anyones military selection and service. Zero. I forget which one but either Poston or Watkins were 4f. bugliosi may not have any direct effect on someone's military selection, but he did pull strings. the govenor of california (ronald reagan) hated hippies more than anyone else i have ever read of seen interviewed. i'm sure reagan could arrange something for the return of seeing the hippie movement damaged. also remember who was in the white house, richard nixon, another hippie hater californian. Beauders, Gypsy & Leslie said the same things. They weren't threatened with Vietnam. i meant watkins and postens testimony in whole, not helter skelter and the beatles. i believe manson used the helter skelter theory to get the family riled up but that most of the participants such as watson, grogan, davis knew the real reason why the murders were committed. we have a missing 21 year old woman here (portland, or.) doesn't look good. Beauders, what was THE REAL REASON why the murders were committed? Please share. I think we've been looking for that since it happened. sorry katie don't know the true motives. for the girls though i believe they bought into manson's preaching of helter skelter, especially krenwinke. missing woman was found dead her murderer a neighbor age 24. very sad day for portland. 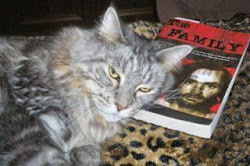 katie i did hear from one source who asked manson himself what the motive was and manson told him it had to do with drugs. this guy was always honest with his info. so believe it if you want. i was the person who told brett about james whitehouse being a prison groupy, which ended up being true, because brett spoke to veronica compton, whitehouses other prison girl-friend,and she confirmed it. it was this man who provided me with that little tidbit. i also forgot to add another strange coincidence to this. veronica compton, whitehouses first prison girlfriend was in prison for trying to clear her boyfriend kenneth bianchi one of the hillside stranglers, but before she became involved with bianchi, she was involved romantically with laurence merrick the producer and codirector of "manson." merrick was murdered in 1977 and the case has never been solved. it's been assumed that someone from manson's orbit murdered him, but could it have been compton? she tried to get bianchi out of prison by staging a copycat murder, but the intended victim beat the crap out of compton and later called the police and had compton arrested.